Reading the bio page of Michael Cottman’s website, you can’t help but marvel at all of the ways he has used his gifts to make a difference. 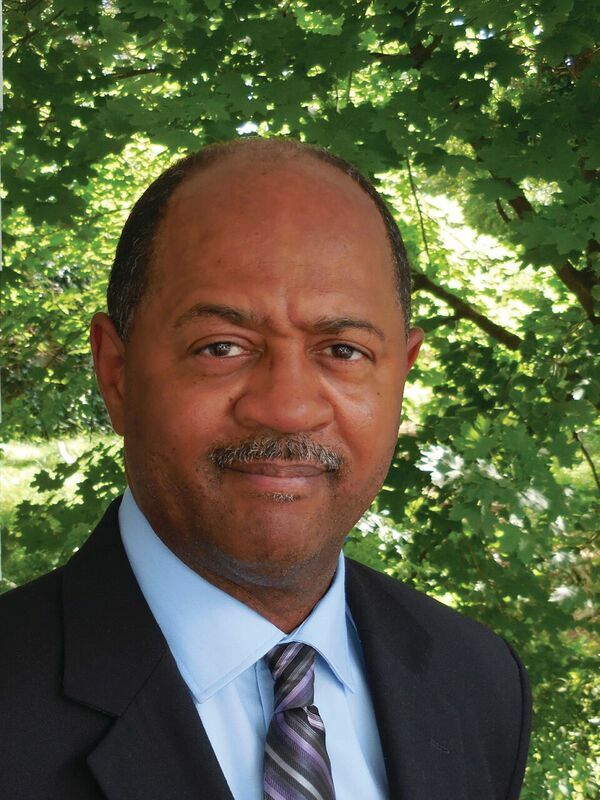 A Pulitzer Prize-winning journalist, Michael has extensively covered former President Barack Obama, offered political analysis for The Tom Joyner Morning Show, authored books on everything from the Million Man March to the black family. And that’s just a few of his vast accomplishments. We’re thrilled that his latest project is passing on his knowledge to kids. 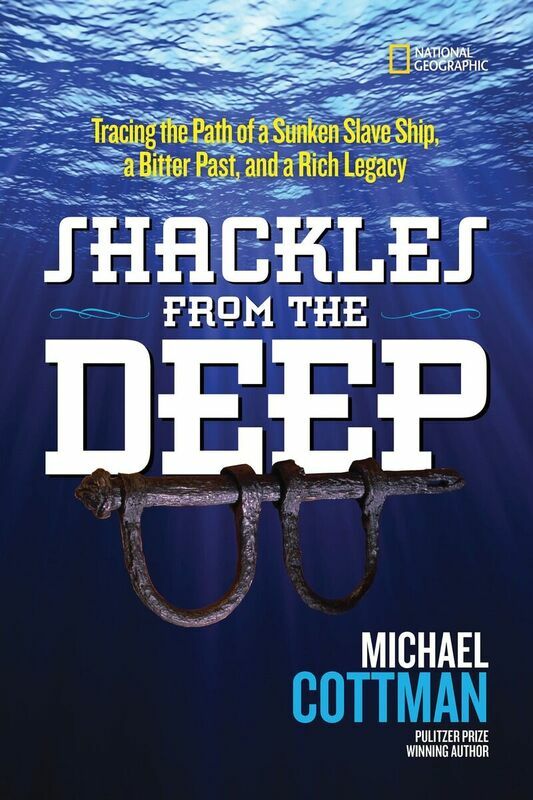 Here, Michael shares the fascinating world of his new book – a Junior Library Guild selection – Shackles from the Deep: Tracing the Path of a Sunken Slave Ship, a Bitter Past, and a Rich Legacy. I am a deep-sea diver. A pile of lime-encrusted shackles discovered on the seafloor, the remains of a ship called the Henrietta Marie, landed me in the middle of an amazing journey that stretches across three continents, from foundries and tombs in England, to slave ports on the shores of West Africa, to present-day Caribbean plantations. I traveled to far-away places to piece together a trans-Atlantic puzzle. I studied shipping records and slave-ship captain’s logs in London. I retraced the route of the Henrietta Marie slave ship and scuba-dived the ship’s ports of call in Jamaica, Barbados, and West Africa (Goree Island off Dakar, Senegal) and conducted research in archives and libraries in Jamaica, Barbados and West Africa. Here’s what I learned: The Henrietta Marie is the only slave ship in America that has been scientifically documented and where 20,000 artifacts were recovered, including the largest collection of slave-ship shackles ever found on one site. In 1991, members of The National Association of Black Scuba Divers (I’m a 20-year member) placed a one-ton concrete monument on the site of the Henrietta Marie, and we believe it’s the only underwater memorial of its kind in America. I grew up in Detroit, Michigan, watching a television show called Sea Hunt, a program about an underwater detective. From that moment, I wanted to scuba dive. My mother wasn’t wild about the idea but she did teach me to swim. Fast-forward 30 years: After I taught my daughter to snorkel in Mexico, she encouraged me to write a book about the Henrietta Marie slave ship, underwater exploration, and the African slave trade, for young readers. And because National Geographic embraces adventure stories like no other publisher, it was a perfect partnership. I wrote Shackles From The Deep in a conversational way for young readers to tell the story of the Henrietta Marie, a 17th century slave ship, and my underwater exploration of the ship off the coast of Florida. This is more than just the story of one ship – it’s the untold story of millions of African people taken as captives to the New World. The story of Shackles From the Deep also introduces the unprecedented partnership between members of The National Association of Black Scuba Divers and white marine archaeologists who forged friendships to explore a sunken slave ship and bond around a common purpose. This is significant because it informs students about different cultures and ethnic groups which is critically important today with our ever-expanding multicultural nation. Shackles From The Deep is part detective story, part underwater adventure, part mystery and part personal journey.